Veneers do more than make your teeth look natural and healthy, they offer protection from additional damage. Sharde Harvey, DDS is a general dentist at Upper East Dental Innovations in Manhattan on the Upper East Side with extensive training in full mouth cosmetic rehabilitation, including full mouth veneers. Learn how veneers can improve your appearance and protect your smile. Call Upper East Dental Innovations or schedule an appointment online today. Veneers improve the appearance of your tooth by covering its surface with a thin shell of porcelain or composite resin material. To apply veneers, Dr. Harvey removes a small amount of your tooth’s surface before bonding. Veneers can also be used to restore tooth discoloration that isn’t responsive to teeth whitening. Veneers are also a permanent treatment that improves your smile, but they can loosen or need replacement after 15-20 years. To help your veneers last longer, avoid chewing on hard objects like ice, popcorn kernels, and pens. 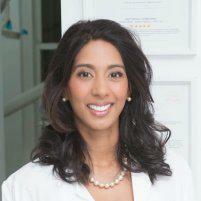 Dr. Harvey is a talented cosmetic dentist who specializes in veneers. Having veneers applied usually takes several appointments, and your teeth and gums have to be healthy. During your initial appointment, Dr. Harvey takes impressions of your mouth to design the perfect veneers for the shape and size of your teeth. Fabrication of your custom-made veneers takes a few weeks. To prepare your teeth for application, Dr. Harvey cleans the tooth and then removes a small amount of enamel. Doing so ensures a natural feel, not a bulkier tooth surface when the veneer is applied. When your veneers arrive, they are applied to your tooth using cement. The veneer is light-cured for 60 seconds to establish a firm bond. Dr. Harvey then removes excess material and polishes your veneer. Local anesthesia isn’t needed when veneers are applied, but Dr. Harvey and her team at Upper East Dental Innovations offer sedation dentistry if needed, so your visit is free from discomfort, angst, and anxiety. As a leader in cosmetic dentistry, Dr. Harvey uses CEREC®, the world’s best system for the fabrication of ceramic dental restorations which enables some veneer applications to be completed in one appointment. If you want to see how veneers can improve your smile and dental health, call Upper East Dental Innovations, call or schedule an appointment online.